Are you or someone you love experiencing memory loss? 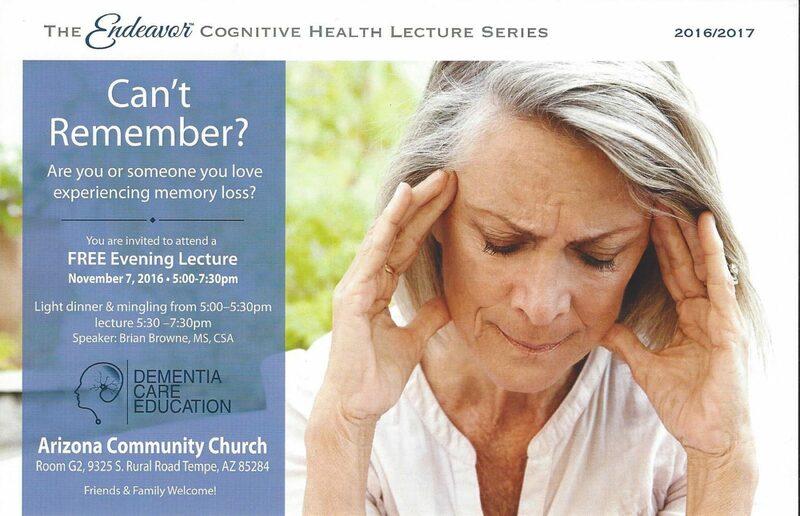 If so, you are invited to attend a FREE lecture on the ABC’s of Alzheimer’s and Dementia. This lecture is designed to enhance understanding of Alzheimer’s and will explain the various other types of dementia- including symptoms, diagnosis, disease progression and treatment options- all in a language we can all understand! Alzheimer’s disease is the most feared disease for people over 65 but hope is on the horizon. Over 5 million are currently diagnosed with Alzheimer’s in the U.S. This lecture is designed to point people in the right direction for information, care and treatment. The free evening lecture will be given by Brian Browne, MS, CSA who is an industry leader on cognitive health. We encourage professionals, family caregivers, friends or anyone needing resources and guidance on this topic to attend- all are welcome! Brian Browne is the Director of Education and Outreach at Banner Research and the President of Dementia Care Education. Brian directs education and community outreach initiatives within the science, business and lay communities. In this capacity he interprets the science to the Local, national and international community and creates mutually beneficial strategic partnerships. Brian is a frequent lecturer at meetings and conferences around the country and has expertise in Dementia Care Education and training and Alzheimer’s research. 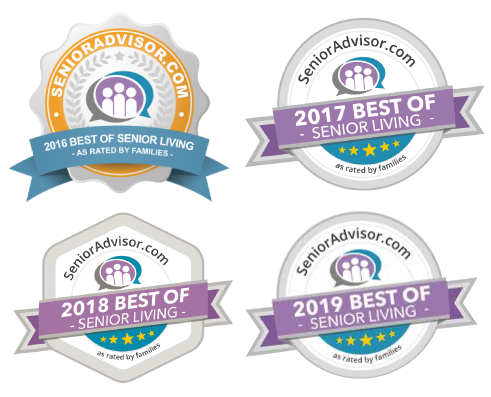 The Endeavor In-Home Care brings amazing education directly to the community with our Cognitive Health Lecture Series so needed resources are readily available to the public. There is limited space available at this event, so please RSVP by calling 480-498-2324.